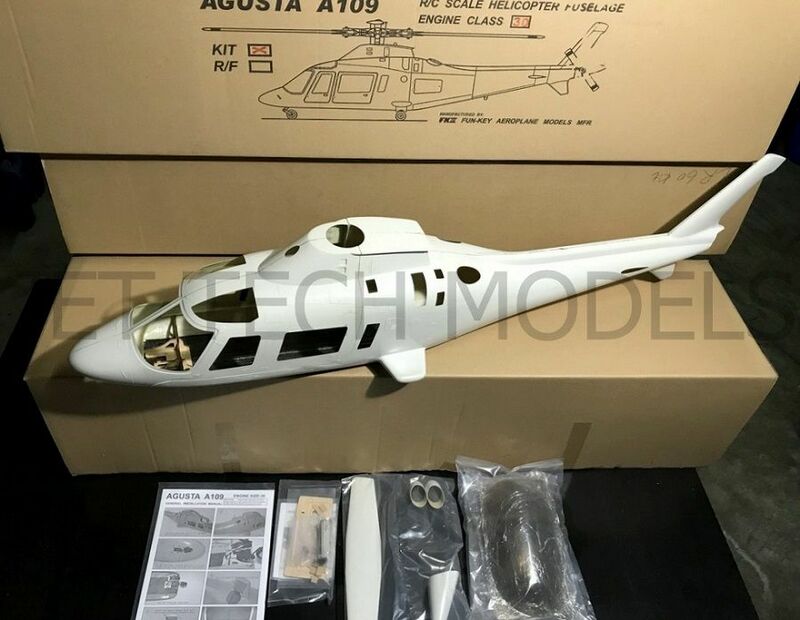 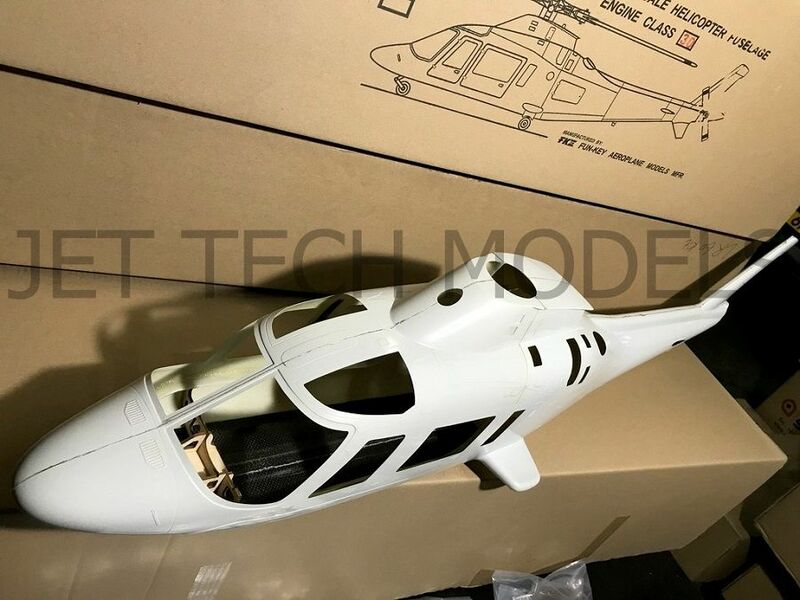 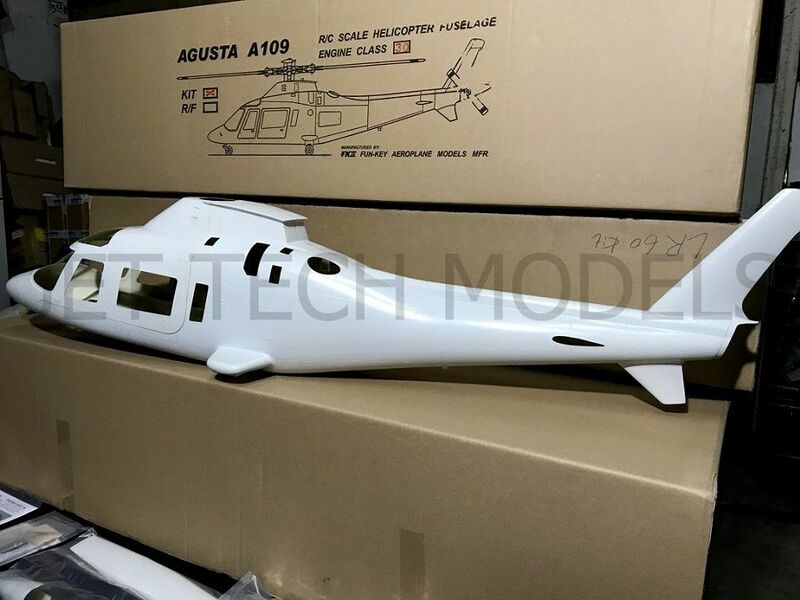 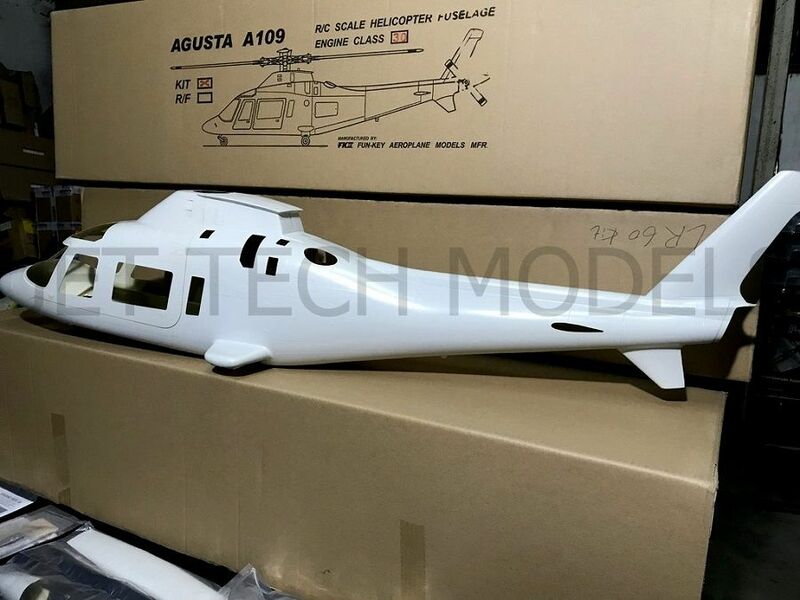 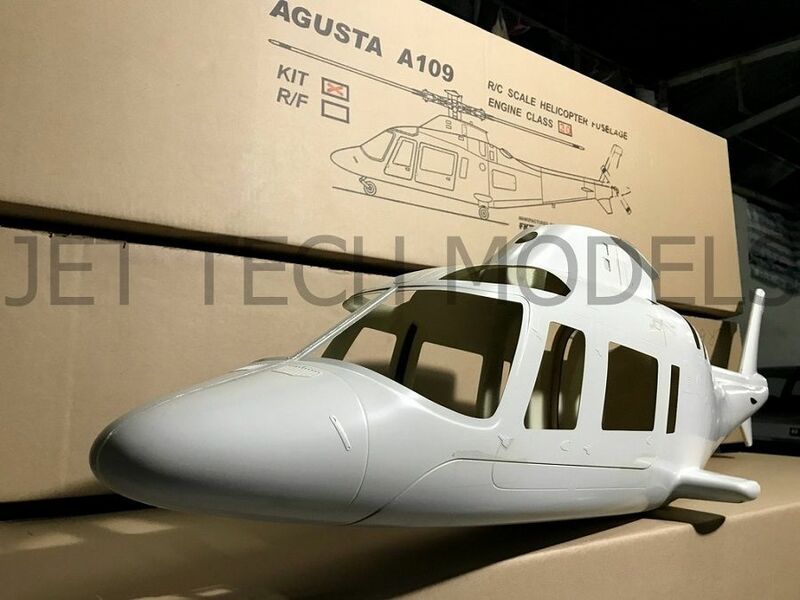 Click the button below to add the FUNKEY Agusta 109A .30 / 550 size scale fuselage kit ( Retract version ) to your wish list. 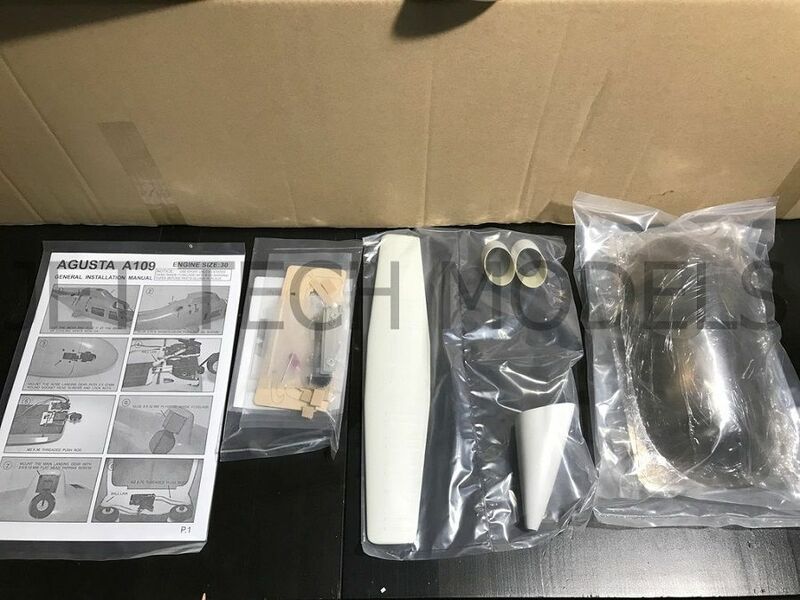 Top grade lightweight fiberglass top cap and upper body; lower body, tailboom and vertical fin; horizontal fin; and tailboom cap. 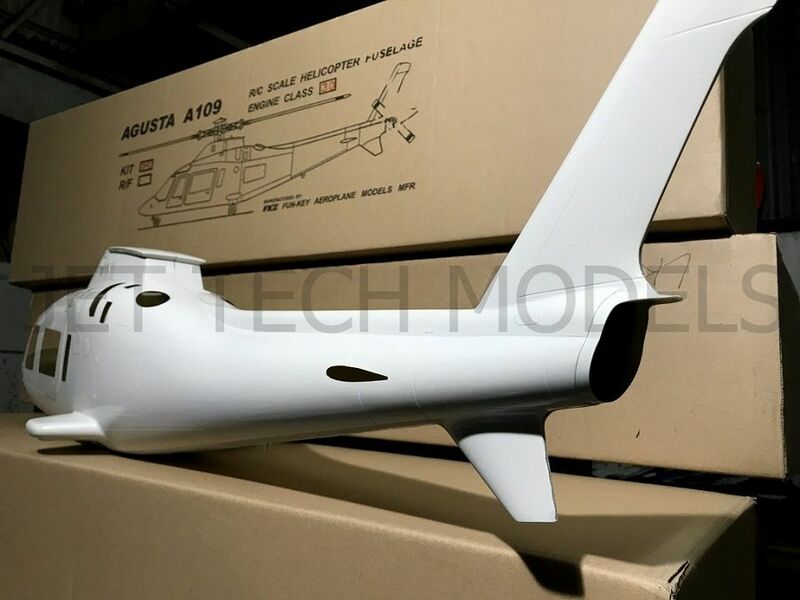 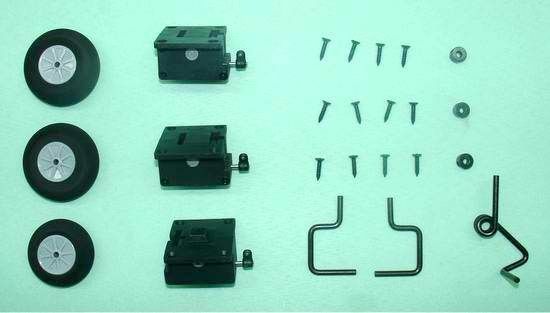 Fiberglass tuff landing gear with mounting hardware, wheels included.